The images of Nazis and white supremacists marching in the streets of Charlottesville with torches chanting “blood and soil” shook me to my core. But so did something else that happened this week. In the aftermath of these acts of blatant racism and anti-Semitism, one of the march’s leaders, Richard Spencer, was invited onto Israeli TV. His words were chilling, but not for the reason I expected. I attended Senator Ron Wyden’s town hall on August 9 in Tualatin, Oregon. I was concerned about his co-sponsorship of the Israel Anti-Boycott Act, S.720 which, as the ACLU stated, could expose someone to criminal prosecution for speaking at a rally, or on twitter, in favor of a U.N. boycott proposal against Israel. Wyden began the town hall by giving a flag to Les and Eva Aigner, two Holocaust survivors who reside in Oregon, whom Wyden lately honored in a speech in the Senate. Senator Wyden, I want to thank you for your position on many issues of civil liberties and holding the constitution which has been badly trampled by the Trump administration. But i’m concerned about your co-sponsorship of the Israel anti-Boycott act. I feel, Senator Wyden, that you are two different Senators. There is Senator Wyden who stands up for my civil liberties and defends my right to privacy, stands for healthcare and other issues. But there’s the other Senator Wyden who seems to to want to defend the human rights violations of a foreign country, Israel from opposition to its illegal policies. And you seem willing to do so by supporting a bill which would punish your own constituents who care about human rights.. and illustrate the all too familiar bi-partisan Palestine exception when it comes to free speech from pro-Palestine activists. I want my senator, at the very least, to withdraw his support from this awful bill, S. 720 and stand up for my right to free speech and the right to boycott. At this point approximately 10 people held up “I agree” signs. No one, that I could see, held up “I disagree” signs. Read more: Wyden turns himself into a pretzel on free speech and Israel Anti-Boycott bill! This week marks 50 years since the start of Israel’s occupation of the West Bank, including East Jerusalem, and the Gaza Strip. For humanitarians this is the most long-standing protection crisis in the UN’s history. It should be obvious, but it bears repeating, that Occupation is ugly. Living under foreign military rule for years on end, generates despair, suffocates initiative and leaves generations in a kind of political and economic limbo. Israel’s occupation is backed by force. 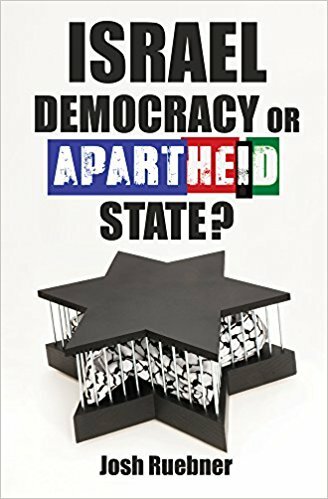 Accompanying that ever-present security apparatus have been deliberate policies that have isolated Palestinian communities from each other, ruptured social cohesion, profoundly limited economic activity and deprived many of their basic rights – of movement, of expression, of access to health and much more. In too many cases, these policies have violated international humanitarian law as well as the human rights instruments to which Israel is a party. One direct result of these policies has been the creation of chronic humanitarian needs among Palestinians. In 2017, nearly half of the 4.8 million Palestinians living in the occupied Palestinian territory (oPt) will need humanitarian aid of one kind or another. Many of them require food assistance to compensate for lost livelihoods, others legal aid, and others still, will need water, healthcare or shelter. In a ‘normal’ year – ie. one without a conflict in Gaza – around US$1 billion is allocated from scarce global resources to support the various humanitarian operations underway in the oPt. Neither the occupation, nor its impact, is static of course. Coping mechanisms are increasingly depleted. The worst impacts are felt by those most vulnerable – children, single mothers, the elderly and disabled. And humanitarians themselves face increasing obstacles in their efforts to mitigate the impacts of occupation, whether it be in increased movement restrictions, the exhaustion of legal processes, the confiscation of our aid, or understandable donor fatigue. As each year passes, the situation deteriorates inexorably, with profound consequences for Palestinians and potentially Israelis as well. From a humanitarian’s perspective, 50 years of occupation represents a gross failure of leadership by many – local and international, Israeli and Palestinian. Too many innocent civilians – Palestinian and Israeli alike – are paying for this abject failure to address the underlying causes of the world’s longest-running protection crisis. ACTION: combat anti-BDS and pro-Settlement legislation in Oregon!